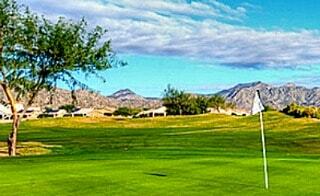 Golf is a popular activity with 300 courses in Arizona. There is a senior center in Phoenix: The Helen Drake Senior Center - Address: 7600 N. 27th Ave - offering meals, health services, activities and programs. Medium to large single homes. Fully stocked lakes. 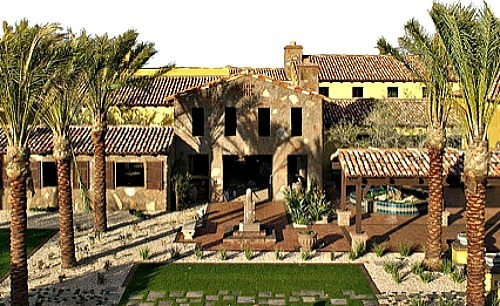 If you find Feng Shui design interesting, be sure to check out Shea Homes' Feng Shui floor plans they are designing for select Arizona homes. Read about it on their blog. Price: $$-$$$$ Part of master-planned community Vistancia in Peoria near Lake Pleasant in Northwest Phoenix. This area is known for great golf. Will have many unique features such as the lap pool that reduces waves from adjoining swimmers, athletic club and the popular Alvea spa. Small to large home collections start high $200's to high $400's. Will have many unique features, such as a demonstration kitchen, artisan studio, Alvea Spa, fitness center, and resort and lap pools. Enjoy walks among lakes and single homes. Prices in $300's. Small town about 1 hour Northwest of Phoenix. 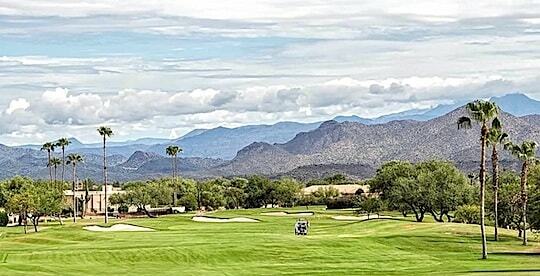 Feature: In master community Wickenburg Ranch with resort amenities. 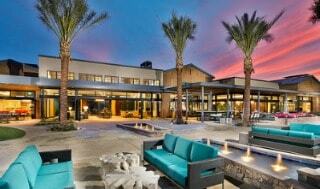 Enjoy a desert setting with luxury amenities including a spa and salon, golf, walking trails and more. Single homes by K Hovnanian. Priced in $200's. Active lifestyle community. Westbrook Village - Offers 3900 homes of a variety of types - 2 restaurants, 2 semi-private 18-hole golf courses, clubhouse, clubs and more. Resale prices range from $100,000-$500,000's. Corte Bella Golf Club - Phoenix - Sun City West - Fitness Club and day spa. Beyond basic aerobics, services include spa treatment rooms. Massages and facials can be arranged as additional services. Championship golf course by Greg Nash. Upscale resort-styled. By Shea Homes. Small to large homes start low $300's to high $600's. Scottsdale is a beautiful area with a cooler northern climate than the southern part of the state. NOTE: You may have seen Verde River and loved it but it wasn't just for 55+ but now the 55+ neighborhood is open. NOTE: You may have seen Verde River and loved it but it wasn't just for 55+ but now the 55+ neighborhood is now open. Westminster Village in Scottsdale - Northeast of Phoenix - Apartment homes with active living and life care. Their prices are listed on their website. Lots of services and amenities included in entrance fee plus monthly fee. Rio Verde is approx. 30 miles northeast of Scottsdale. Resort-like with vacation rentals, seasonal rentals, year-round rentals and resale homes from mid-$100's to one million plus. Grandkid friendly with special events. 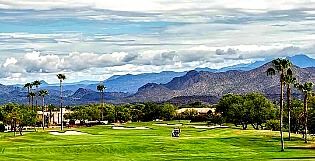 Coming Blue Sky at Tonto Verde - Coming to the Rio Verde area by Taylor Morrison. Sign up on Interest List now to be updated. Golf. 15 minutes east of North Scottsdale near the Verde River and Tonto Forest. Rio Verde Dr. and Forest Rd. 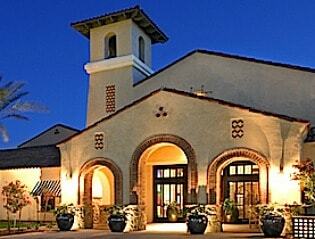 La Loma Village Litchfield Park - Independent living with lifecare. Beautiful scenery surrounds this community of activities and services. Casitas and apartments. Short stays also available. By Del Webb In the valley west of Phoenix. Offering amenities with strong emphasis on health, wellness and personal enrichment. This senior lifestyle community will have 7200 homes when closes. 18-hole golf course, pools, community center and mountain vistas. 2-3 bedroom single homes with garage | Smaller to medium large square footage | Starting prices from $180's. Small to medium 2-bedroom, 2 bath single homes from mid $200's. Mediterranean roofs (verify). CONTACT: Verrado Way and Indian School Rd. 55+ community in established master community. | By prestigious builder Taylor Morrison. | Located in the foothills of the White Tank Mountains. 55+ community with a resort lifestyle from $300's. David Weekly Homes presents a variety of 55+ neighborhoods with different price ranges starting from mid-$200's at the popular Victory at Verrado master community. Pebble Creek by Robson - Luxury single family homes and villas community near Phoenix By Robson Communities. 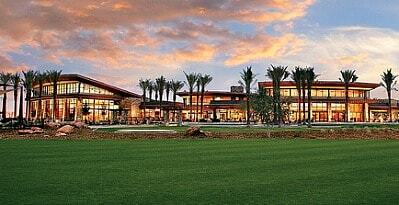 Award-winning retirement communities in Phoenix near Goodyear, Arizona. CantaMia at Estrella - Goodyear - 20 minutes from Phoenix where the pace slows - Sonoran Desert - Located within the master community of Estrella. This is an award-winning green community. A variety of floor plans starting in low $200's. Amenities include 2 pools, massage room, cooking kitchen, lifelong learning programs, yacht club and more. Also: gated golf cart community. What is a "golf cart community?" This term usually refers to the fact that you can drive your golf cart anywhere in the community to get around not just for golf but for general purposes. But do verify where this would be as it may vary. Not all those with golf courses are considered a "golf cart community." Sun Villa Apartments Near Fountain of the Sun Retirement Community in Mesa. Renting at value prices. Gated. Studios and 1 bedrooms. Pool, golf and more. Las Palmas Grand - Mesa - Price: $ - Start $50,000's - manufactured homes by Thesman - Resort retirement community. Sunland Springs Village - Mesa - Farnsworth Development - homes, townhomes and condos on 900 acres - 27-hole golf course. 2 and 3-bedrooms starting upper $100's. Small square footage townhomes start $166,900. Condos start mid-$200's. There is a separate assisted living and memory care facility, The Summit at Sunland Springs, in this master community. Over a dozen Home Designs starting in the upper $200s. Will have social activities within the larger Eastmark master community for active adults. Contemporary design. Voted in Top 10 in Phoenix Magazine. Also, among John Burns Top Masters list. 40 golf courses within 30-minute drive. There are all ages in other nearby developments so seniors can have their family members close by. Will have approx. 900 homes at build out and its own 15,000 sq. ft. clubhouse, The Encore Club. Leisure World Arizona in Mesa - Many units start at age 45+ and others at 55+. Minutes from Phoenix. Large, gated community filled with activities and golf. Active adult community with resales in variety of price ranges from $100,000's. Seasonal and long-term rentals listed on website also. Sunrise Village - Mesa - 24 hr gated community of manufactured homes by Thesman - Resale homes from $15,000's. 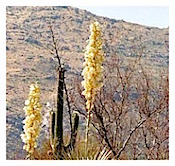 Palmas del Sol - Apache Junction - By Thesman - resale manufactured homes from $35,000 - 24 hour gated. Del Webb at Lone Tree - We often think of Del Webb communities as large and sprawling but this one will be different. Only 72 homes! Scaled down and more intimate. Other Del Webb communities in the area: Del Webb Lone Tree in Chandler (high $200's) and Sun City Festival in Buckeye (low $200's). By Meritage Homes in Maricopa | Price: $-$$ Previously by Engle Homes* | 30 minutes south of Phoenix. | Guard-gated | From villas to estates | 175 acres of parks and lakes | Province was voted "Best Active Adult Community in America" by 50+ Housing Council of National Assoc. of Home Builders | Also a silver award in Best Clubhouse Design. | Medium to large single homes start low $200's. | Villas start $160's. *After completion of hundreds of homes, Engle Homes went into bankruptcy during the height of the housing crisis and Meritage Homes is the current owner of Province with new plans and features. The Retreats at Province - Medium to large singles from very low $200's. Between Phoenix and Tucson - Price: $ homes from $190's - Pool with chairlift - green building features. A Trilogy luxury golf community. Shea homes at Queen Creek, Southeast of Phoenix. Price: $-$$$ Start low $200's to high $300's. Feeling of a private club with 18-hole golf. 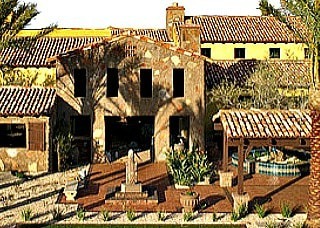 It is part of the master community Encanterra which is non-age restricted. Many clubs and activities and Alvea spa. Popular rural area offering small town lifestyle with outdoor amenities. A new club, the Algarve, is now open. Active adult community for age 40 and above in Sun Lakes 20 minutes from Phoenix and near Chandler. A Robson community located here but sold out. Resales. Vacation lifestyle and country club living. Miles of walking paths, stocked fishing lakes, clubhouse, pools, golf, tennis, health clubs and more. Manufactured and standard homes. Sun Lakes Country Club is the original community of three with 2139 homes on one square mile area. Also of interest are the seasonal rentals as shown on website. Solera at Johnson Ranch Homeowners Site - gated community by Del Webb at Queen Creek with resales only - completed in 2008. 18-hole championship golf. Clubhouse, pool, an Fitness room. The San Tan Valley offers recreation, clean air and small town living. Trilogy® at Power Ranch Homeowners Site by Shea Homes at Gilbert. Resort-style in Southeast Valley of Phoenix. See resales on site starting in $200,000's. Rentals also available listed on site. References: A good resource AZCentral.com - Check out their new home section.